One of the highlights of my trip to Indonesia this time, was my meeting with Pak Hadi Santono and a group of volunteers from Anak Anak Terang in Jogjakarta. This amazing group of smart and energetic young people taught me how to support and care for the less fortunate by giving them a chance to go to good schools, hence a good shot in life. Their program is quite basic, but what makes it different and successful is their believe in the “POWER of SMALL” (donation), yet a HUGE network of caring volunteers–educators, sponsors, and students– providing physical and emotional support for the child. It is a village. With a little less than $10.00 a month, a little more than a cup of cappuccino in the US, we can send a child to school. 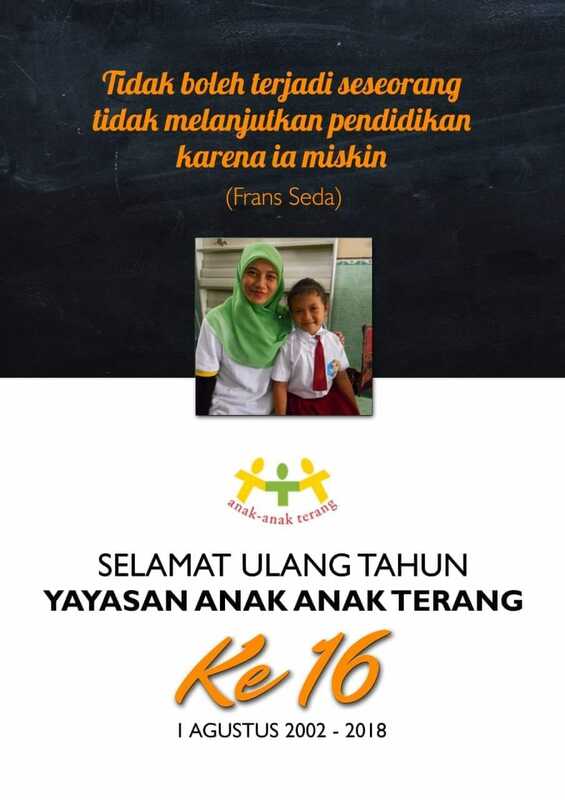 11 years ago, a group of caring Moms, decided to do something with the Jakarta’s street kids. Now it has blossomed into providing scholarships for 2048 some students, ranging from 1st grade to College, with hundreds of volunteers and donors, many are the products of this program themselves. I am inviting you to please get involved. The gift of education will provide a child with dignity that every person deserves to have. We can help stop the cycle of poverty now. My gratitude to Pak Hadi Santono, Pak Christ Widya, Ibu Lies Endjang for their hospitality and incredible dedication to the the group, and last but not least to Pak Nico Krisnanto who introduced me to this amazing group. Salam hangat. May God continue to bless you.